Evie joined Nobel Trust in 2018 as the Manager at the firm’s Private Wealth and Advisory department. She focuses on developing and expanding private wealth-related matters of current and prospective clients, as well as contributing to the business development of the firm. 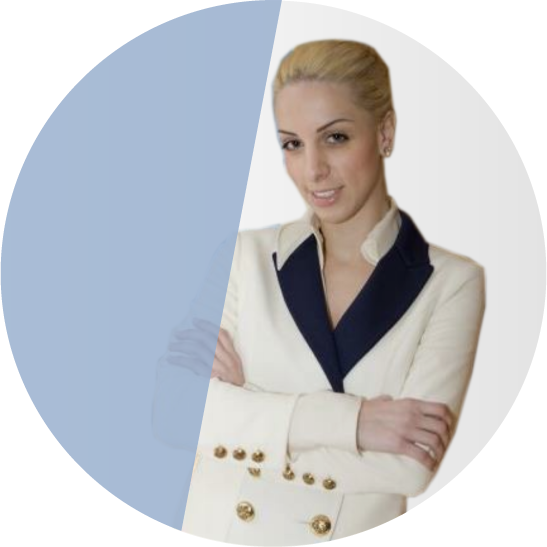 Prior to joining Nobel Trust, Evie worked for one of the largest law firms in Cyprus as the Head of Human Capital. Evie can be considered an ‘’all-rounder’’ with high business and commercial acumen thanks to her broad educational background. She obtained a BA in Management Studies from Nottingham University, an MSc in International Management from Kings College London, an MA in Property Valuation and Law from Cass Business School City University, an MSc in Finance and Banking from the Cyprus International Institute of Management, and, an LLB from the University of London. Evie is also a member of the Investment Migration Council, a specialised council that deals with migration, citizenship and residency. As a very energetic and positive person, Evie conveys these traits to the people around her. She sets high targets and always works hard to achieve them no matter how many obstacles she may meet on the way. She is very strategic and organized in whatever she handles, always maintaining her professional and client-oriented approach. One of the company’s greatest assets is at the core of its culture: embracing teamwork. Each person’s creativity is unleashed to the maximum.